I will be teaching the Algonquin Shelf Basket on Saturday, May 14 from 9:30 to 3:30. Class size is limited and open on a first come, first served basis. This is the most popular basket class I teach and can be made in 3 different sizes. If you have done this class before, most likely it was the middle size. Class fees are Small: $25.00, Medium: $29.00 and Large: $34.00. 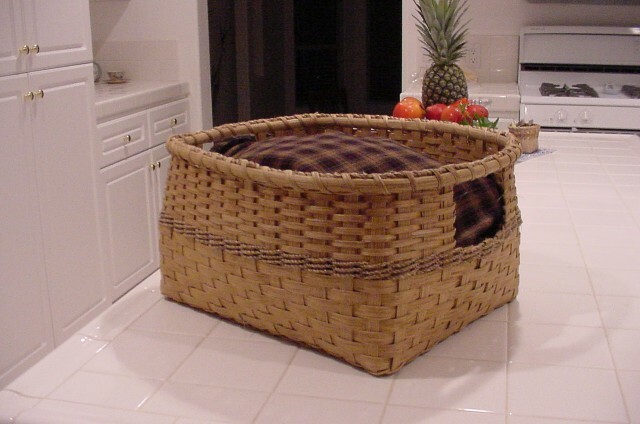 All of the materials necessary to make the basket are included (stain is not included). Class will meet in my studio, bring a bag lunch and your beverages. Please email me with questions or for reservations for the class.